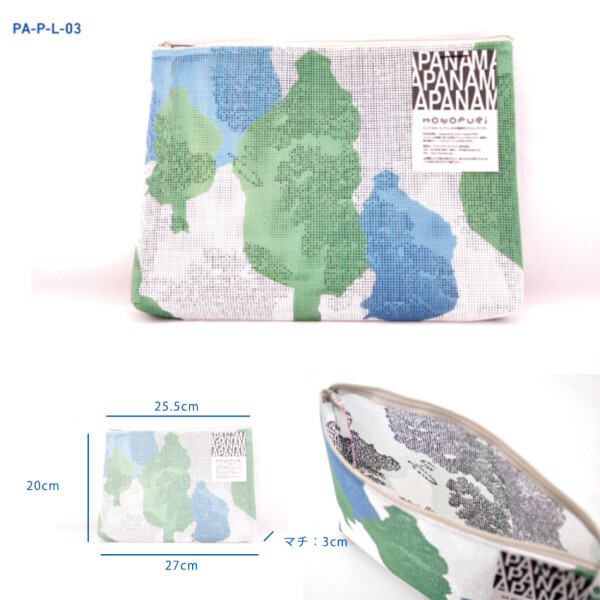 Now, blancoron started to sell large size PANAMA pouches. 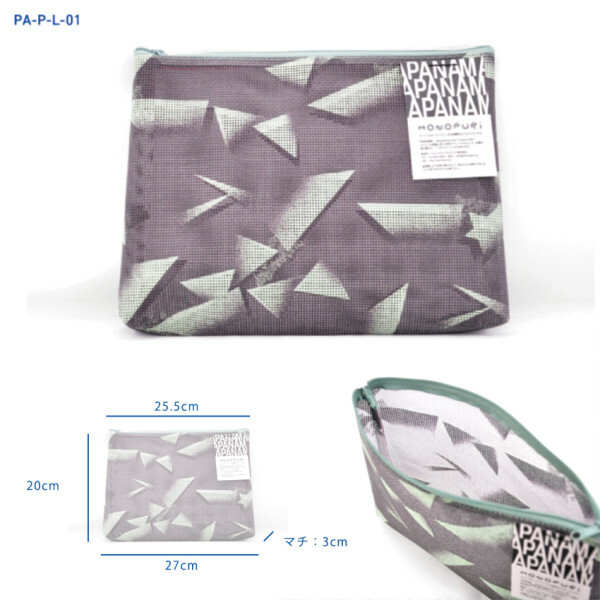 The Panama is a series of bags and pouches made of mesh. Tarpaulin mesh is often used for outdoor advertising and is a familiar material for Magic Touch Japan. 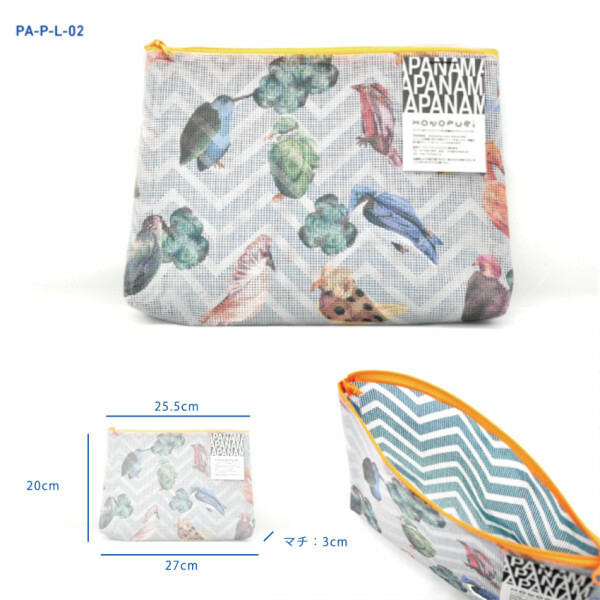 By printing different patterns on both sides of the mesh, once the bag is woven the patterns lie on top of one another and create a visual collage. Then, anything you put inside the bag adds to the layers of the collage.